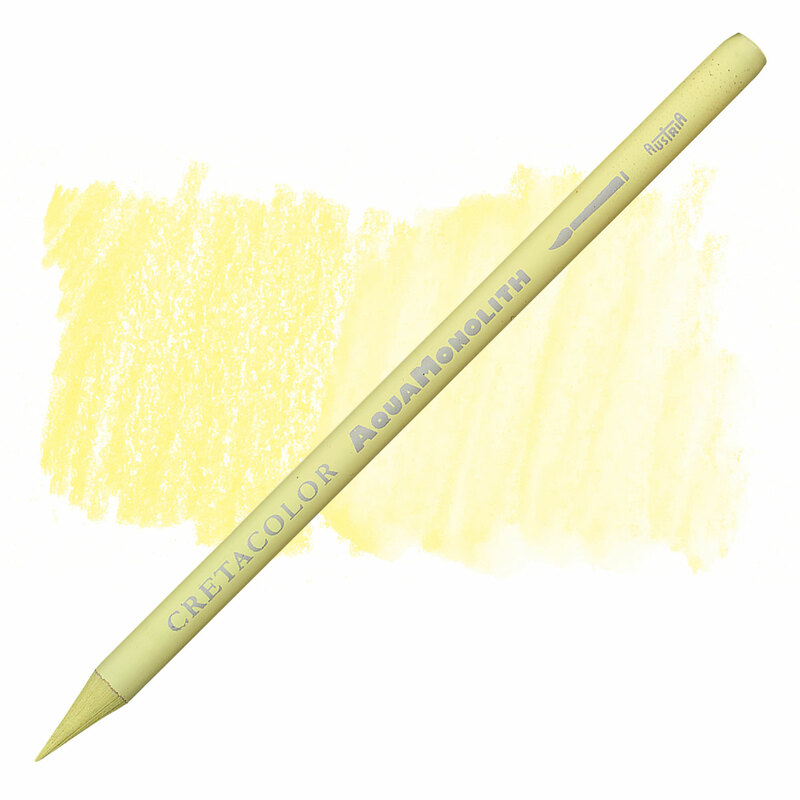 Paint both fine lines and big surfaces with these unique aquarell colored pencils. Cretacolor's Aquamonolith Watercolor Pencils are woodless pencils from Austria. They're colored pencils made of pigments and binders wrapped in a thin layer of lacquer. ® Cretacolor is a registered trademark.